VIDEO STREAMING uses a lot of bandwidth. Internet service providers can either limit bandwidth or provide more. To bypass this problem newer encoders aim to compact video into smaller packages, to keep the same video quality but a smaller size. The problem is the variety of video devices available that range from mobiles, tablets, and high definition TVs. This diversity results in various different video transmissions being needed. To avoid encoding the same sequence several times and reduce the traffic over a network, video coding called H.264/ Scalable Video Coding (SVC) was introduced. This type of video coding allows a single stream to encode for time ,space, and quality. This technology saves bandwidth. 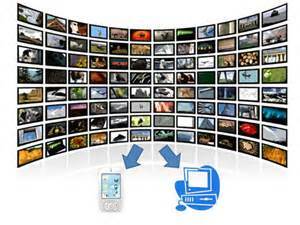 SVC is expected to become the standard for Internet streaming. Theonly thing holding it back is the need for a complex encoder. Kurt Abela (supervised by Dr Ing.Reuben Farrugia) proposed the use of a Graphics Processing Unit (GPU) based encoder to speed up the encoder. The Block Motion Estimation (BME) module within SVC takes up the bulk of the total encoding time in standard H.264/AVC. Abela designed certain modules to be optimised for NVIDIA GPUs. Through an asynchronous programming model, the video encoder could be run simultaneously on the CPU (Computer Processing Unit) and GPU. By using this novel encoder, encoding was sped up at most 436x times, when compared to a reference model, with no loss in quality. The encoder was sped up even more with further improvements to allow real-time HD video encoding. This system is much cheaper and easier to use thttps://inveronica.com/finding-inner-peace.htmlhan leading alternatives. GPUs are very cheap and already found in most computers. Further developments on GPUs could soon see them replace more expensive encoders in data centers.